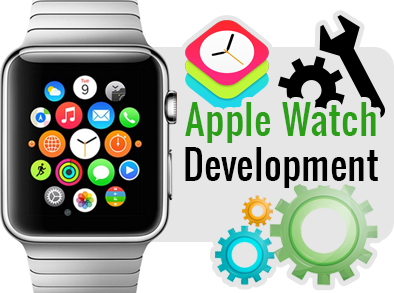 G&G provides custom software programming, Application programming in India, and custom application development outsourcing services both onsite and Application.involves the understanding and knowledge of developing applications using Apple’s developer watch kit. When the Apple watch was launched Headjam quickly began testing and developing the use of the technology with existing Apple iPhone and iPad iOS apps we had developed to leverage the new interface and features available. A common mis conception is that you can develop an app for the watch on its own. This is not correct. Developing an application for the Apple watch requires you to already have an app for an iPhone or and iPad the watch application is an add on and provides the user with snapshots of the features that the iPhone or iPad app has. The most useful way to develop the best app for the apple watch and to make sure that you are investing in something that is useful for your user is to buy an apple watch and use the device for a few weeks, we recommend buying the 38mm apple watch with the basic strap to keep the costs down as this is purely a testing device. This will enable you to understand how the user will be interacting with your content and ensure that the content you produce is going to provide them with useful information. Most of the time the watch is used for something that Apple call ‘Glances’ glances basically allow your to push snippets of information to a user that enables them to view updates and information quickly. The best example of these glances are iMessages or text messages that come through with the ability for the user to provide a ‘quick reply’ a ‘quick reply’ is pre built responses that you can click to respond to messages in stead of writing them yourself. The apple watch intuitively provides the user with some relevant ‘quick replies’ based on analysing the message that you received. For example: if a message comes in and asks a question like: Do you want to have dinner at 5pm? the Apple watch will pre populate a reply with the options of; No, I’m busy, Yes or a series of favicon that you can choose from. You can also use Siri to voice reply to the message this is then translated to text or can be sent as audio. The most important thing to understand about Watch Kit apps is that the Apple Watch is just an external display for a program running on a connected iPhone. The ability for apps to run on the Apple Watch itself is promised by Apple “later” in 2015, but for now, any updating of the display or user interaction requires a connected iPhone. 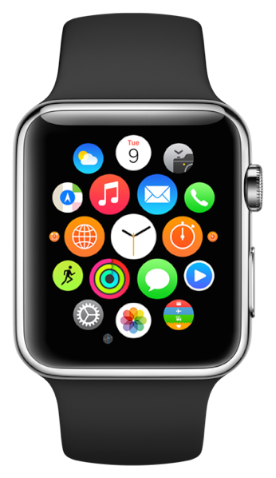 A WatchKit app is a user launchable app that appears on the Apple Watch home screen. A WatchKit app is the user’s main way of viewing and interacting with your data. It provides the means to view your data and optionally to manipulate or interact with that data. Depending on the data, a WatchKit app might present only a subset of the data presented by its containing iOS app. A WatchKit app acts as the public face of your app but it works in tandem with your WatchKit extension, which is the brains of the operation. The WatchKit app contains only the storyboards and resource files associated with your app’s user interface. The WatchKit extension contains the code for managing content, responding to user interactions, and updating your user interface. And because the extension runs on the user’s iPhone, it can coordinate with your iOS app as needed to perform more sophisticated tasks.